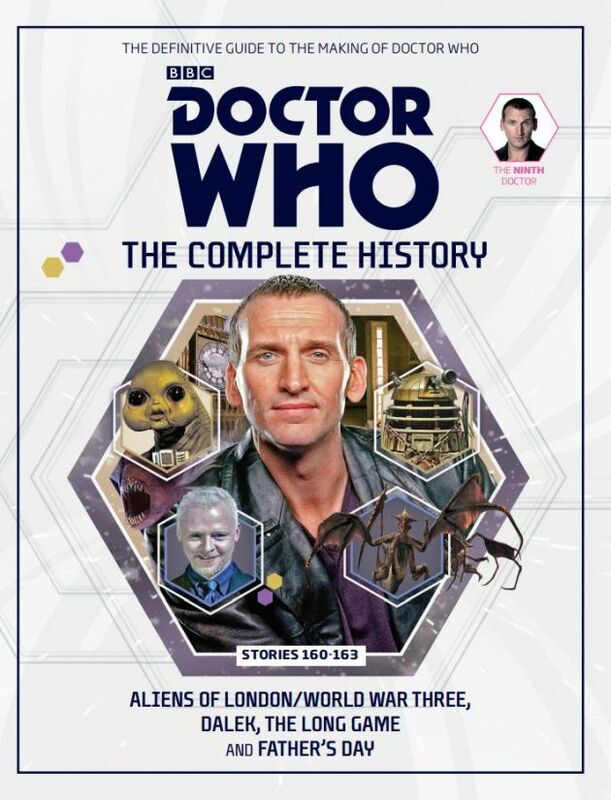 DOCTOR WHO – THE COMPLETE HISTORY goes behind the TV cameras to document the making of the world’s longest running science fiction series from 1963 to the present day. PLEASE SOMEONE TELL ME WHERE I CAN BUY THIS BOOK!!!!!! I got the other 2 9th doctor volumes at the who shop in London but I live in the USA and I’m going crazy trying to find how to buy it!!!! Got this yesterday, much thicker than what I was expecting! Nice to see another Eccleston volume; only one more to go now for his final few stories, looking forward to this! Christopher Eccleston is still my favourite Doctor since the series returned in 2005. That one series he did was excellent. With only 10 stories representing his era, I would easily consider half of his stories being some of the all time greats. ‘The Unquiet Dead’ , ‘Dalek’, ‘Father’s Day’, ‘Empty Child/Doctor Dances’ and ‘Bad Wolf/Parting of the Ways’ are among the finest stories. Best story in this book is ‘Dalek’.